With more than 20 years combined experience in listening to what our clients want in a lake home, we feel like we have a pretty good handle on what that looks like. The Choestoea This classic garage apartment has a roomy two car garage with an inside and outside entrance to the stairs leading to an apartment above. The apartment has a sitting area, kitchen, bedroom and full bath. Make this your weekend lake getaway, or build it on a larger site and add your dream home later. 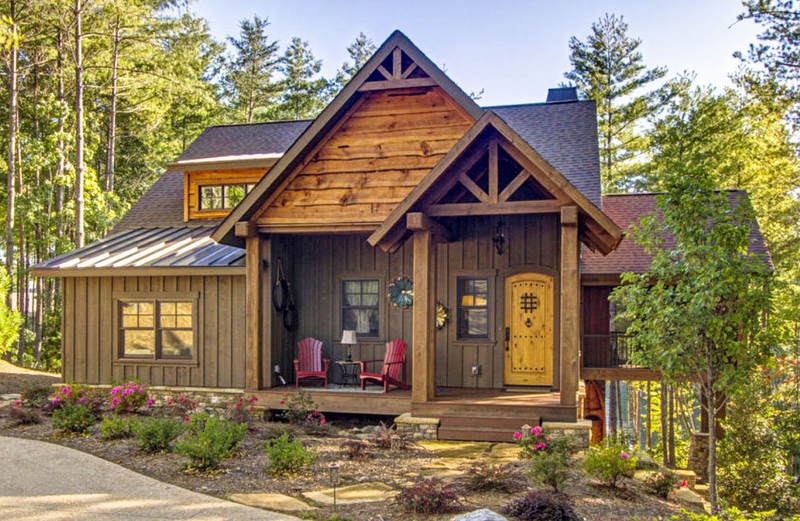 The Eastanollee This great cabin has everything you will need for a fun weekend on the lake. There is a great room with fireplace on the main level as well as a bedroom and private bath. There is a fun ladder to the bunk area above with a second full bath at the base of the ladder. 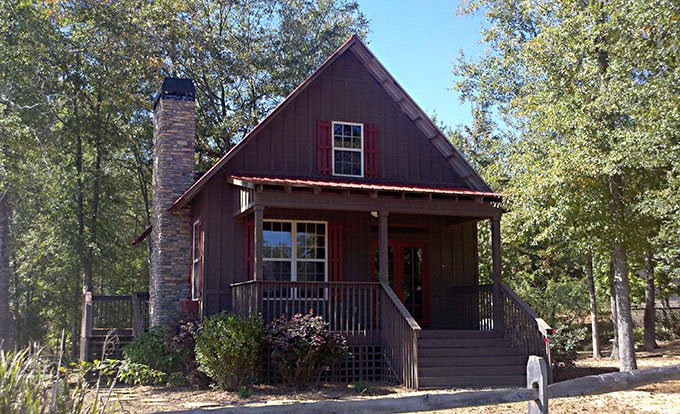 The Tugaloo This great lake home would make a great second home and has everything you would need for full time living. The large great room has a fireplace and is open to the kitchen and dining area. The great room opens onto an open deck and a screened porch with a second fireplace. 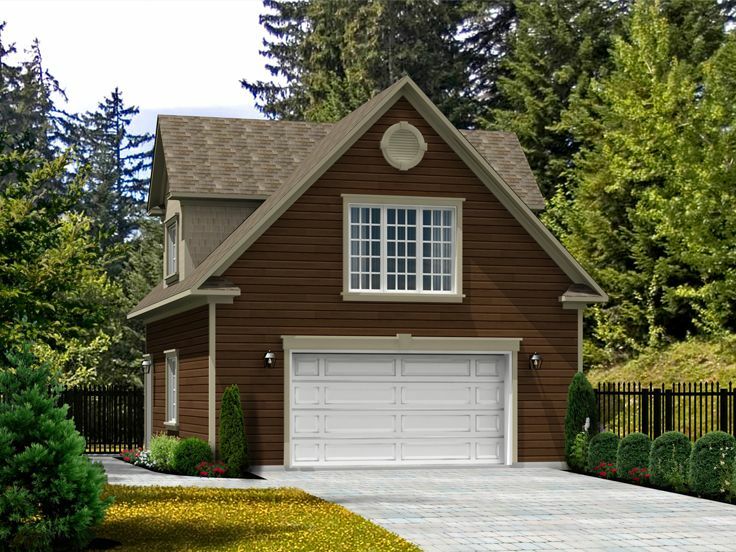 The terrace level has two more bedrooms and baths and a fun rec room which opens onto a lower level patio. 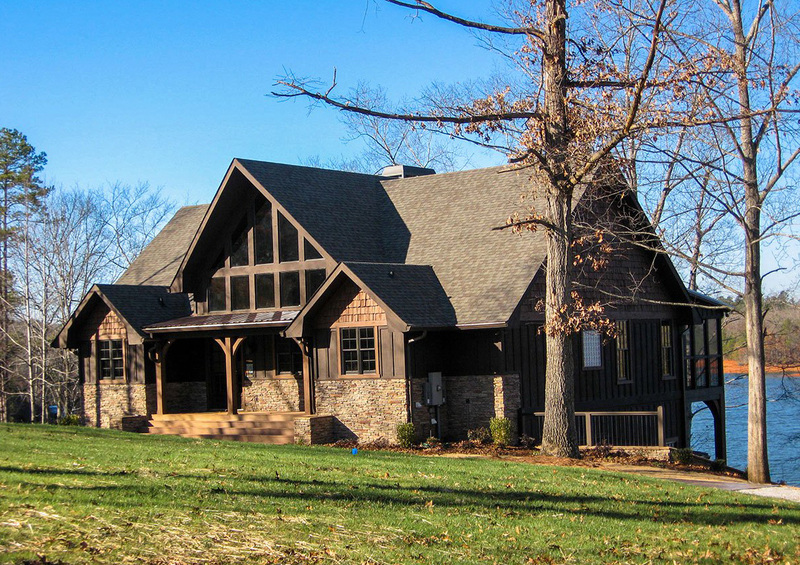 This home also has a small one-car garage for a golf cart, UTV or your lake toys. The Seneca Upon entering the Seneca, you have a view straight through to the large windows on the back of the family room. The kitchen, dining area, and family room are all open to each other and vaulted drawing you toward the views on the back of the home. The vaulted Master Suite is located on the main level and features a separate tub and shower as well as a walk in closet. A covered or screened porch with an outdoor fireplace sits on the rear of the house directly off the master suite. On the opposite side of the main level is a laundry room, a 1/2 bath, and two bedrooms that share a bath. One of the bedrooms has access to another covered porch off the back. The rear porches are connected by an open deck to take advantage of the views on the rear of the home. The lower level or basement can be finished to include boys and girls separate bunk rooms, a recreation room, and a wet bar. Part of the space on the lower level could also be used as a shop or storage. The exterior of the home features a combination of stone, board and batten, and shake along with timber columns and craftsman details.